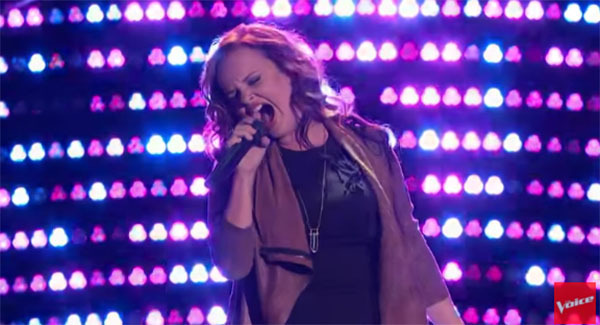 Kata Hay sings ‘Redneck Woman’ by Gretchen Wilson on The Voice Season 10 Blind Auditions on Tuesday, March 1, 2016. Kata Hay gets three chair turn from Adam, Pharrell and Christina. She is country singer originally from Tulsa, Oklahoma. Kata jokes, she’s kinda disappointed because she thought that Blake Shelton is the first person to turn around for her. Kata Hay picked Team Christina. Watch her performance on the video below.